"Our experience with Vanessa was nothing short of a dream! My husband and I hired her for our one year wedding anniversary session in Portland. We are from Texas and wanted to commemorate our trip with some beautiful photos and I knew the moment I found Vanessa, I had to have her do our session. She was communicative, easy to work with and very accommodating from the moment we first started emailing. I was nervous about hiring someone who wasn't local to the area, but Vanessa made me feel completely at ease and had a well researched list of locations for me to choose from! Day of, she was FANTASTIC! 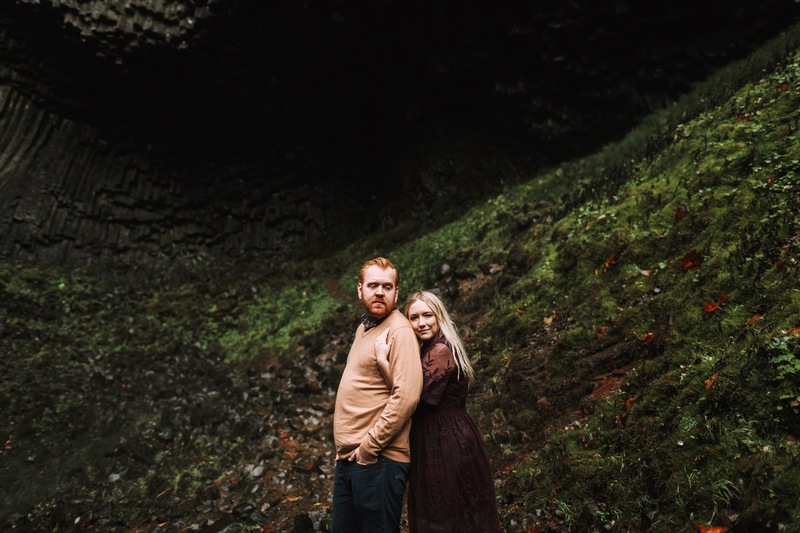 We explored waterfalls and all of the beautiful Oregon scenery together while she gave my husband and I gentle direction during the session. Even my husband, who isn't a huge fan of taking photos, said he had a great time and felt super comfortable in front of the camera. We received our photos in a timely manner and OH. MY. GOSH. I am so in love with them! Vanessa captured the spirit of our relationship so beautifully and authentically. This woman has such a way of capturing love! I cried when I first saw the photos because they so accurately represented how I feel about my husband and our marriage and it was just such a truly special gift to receive from someone as talented as Vanessa. If you've been thinking about hiring a photographer, look no further. Seriously, everything she touches is magic! I will never stop raving about my experience with her and I'm so excited to be able to share our photos with our future children. 11/10, highly recommended!" Bailey and Billy reached out to me about taking their one year wedding anniversary (nine years together!) photos during their anniversary trip to Portland in the fall. When they told me about themselves I felt like we were kindred spirits and I couldn’t say no! Bailey and Billy gave me full reign to find some spots that they could take their portraits at - the only must have was a waterfall! By the end of the day we found a waterfall, a river gorge, and the most breathtaking sunset I may have ever seen. The entire day was magical from all the colors of the sunset and the changing autumnal leaves on the trees.